This port COM servers or scalable terminal servers are migration tools from the asynchronous world to the IP world. 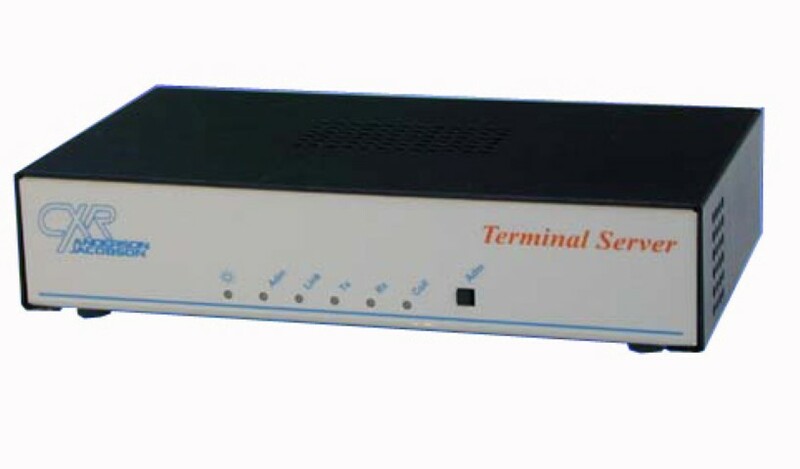 It can give access to asynchronous consol port of diverse equipments over IP network. The TS 324 and TS1124 models own 3 and 11 asynchronous V24/RS232 interfaces and one Ethernet TCP/IP port. This converter encapsulates each asynchronous signal in IP frame. It is a multiple RS232 to IP converter for point to point or multipoint. PLC, alarm system, modems, fax machine, VT100 terminal, telecom equipment, router…. could be connected over their asynch or consol port to the TS324/TS1124. Speed, mode, timing can be set up per RS232 port of the converter/server. The TS324/TS1124 is Telnet/RTelnet client and server and support the RFC2217. This server encapsulates transparently the data flow and the control signals and carries from point to point the full RS232 interface over IP/Ethernet network. For old applications it can emulate half-duplex modems connection and asynchronous packet type over IP. The TS324/TS1124 can be used as multiplexer of asynchronous interface between two sites. This converter support particular transports of ModBUS, telex and many other applications. They are manageable over V24 port, Ethernet port in VT100, http or SNMP.